There are few things that we can’t control in life and unfortunately the weather is one of them. Spring is notorious for rain and it looks like this year it will be no different. 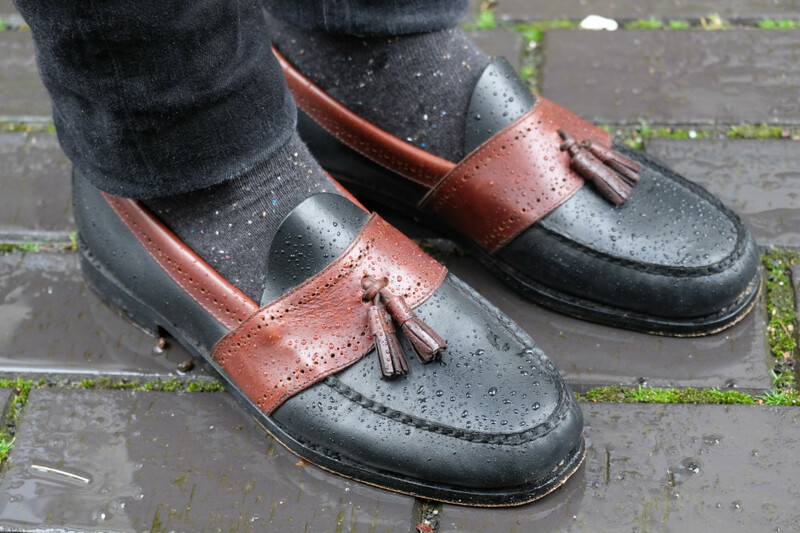 There are a few ways to fight off the damp weather. The number one option is and always will be the umbrella. It’s something we all own and guarantees us a dry upper body. 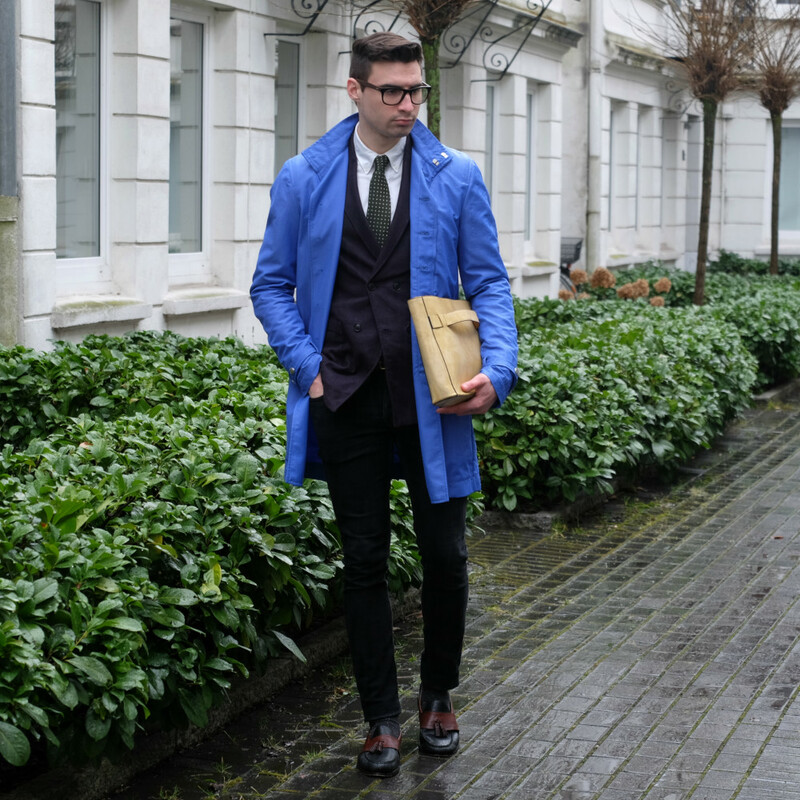 The classic mac and trench coats are also a stylish way to stay dry and warm. 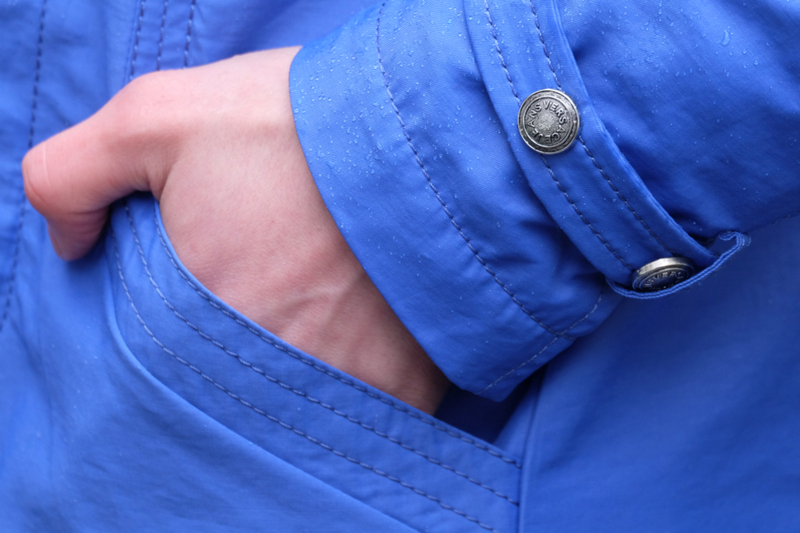 The third option available to us is some kind of protective waterproof outerwear such as my nylon jacket from Versace. I remember reading once that colorful rain coats should only be worn with casual outfits, but in the last few years that has slowly been changing. 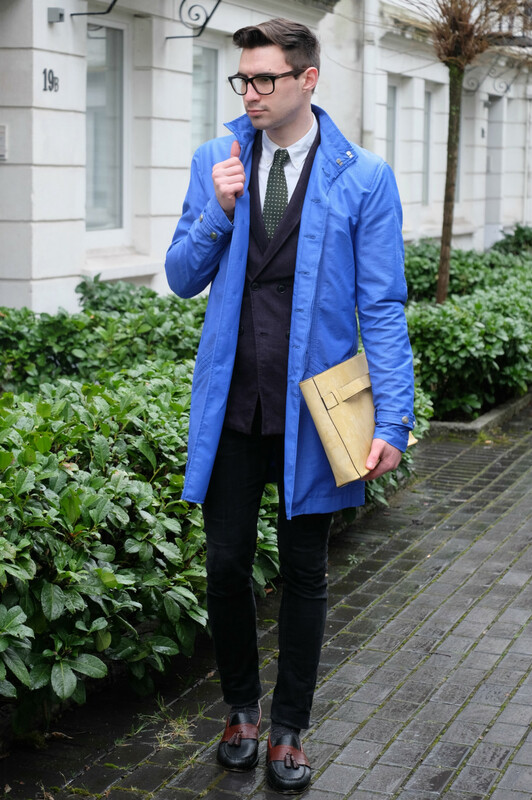 It’s now considered acceptable to wear a bright yellow rain coat (or in my case blue) over your suit. 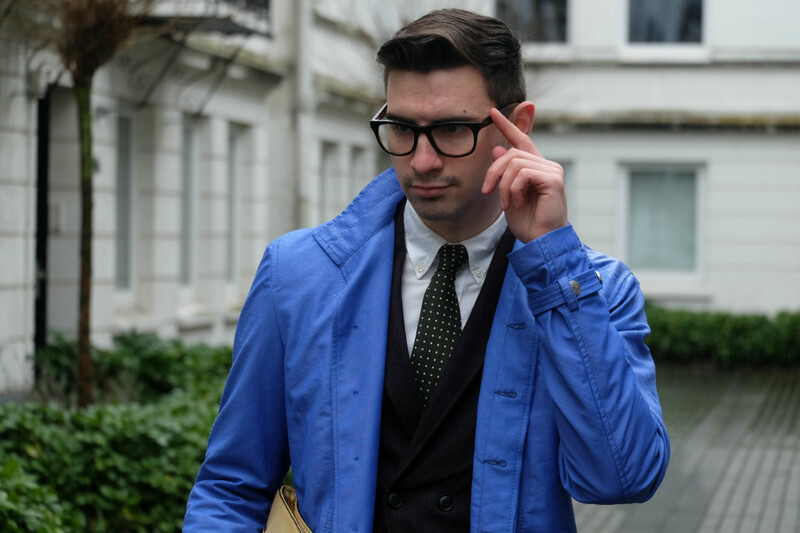 As long as the coat is tailored perfectly to your body and is long enough to cover your suit jacket then you will be stylish and standing dry among all the wet commuters. 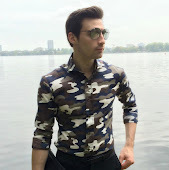 What do you guys think about wearing such a bold piece of outerwear? 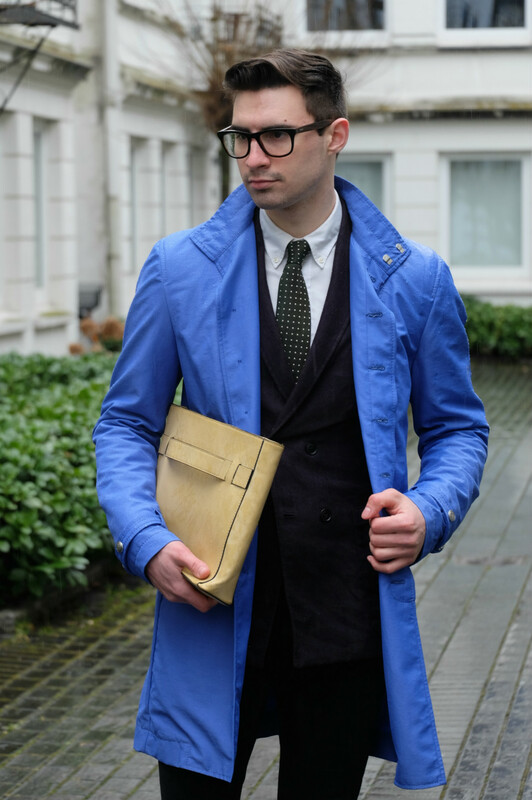 Nice look, love the trench! Stunning colour! That blue jacket is everything Justin! Perfect to inject a pop of bright to any outfit! I love this outfit, its so stylish and something right out of GQ. I love the shade of blue of your rain coat!!!! Perfect look, as usual!!!! I really like your rain coat. there is something classical about this rain coat, it reminds me of a trrench coat! The colour, however, is not classical at all...seeking the word to describe it, all I could think of was phrase 'very Versace'. 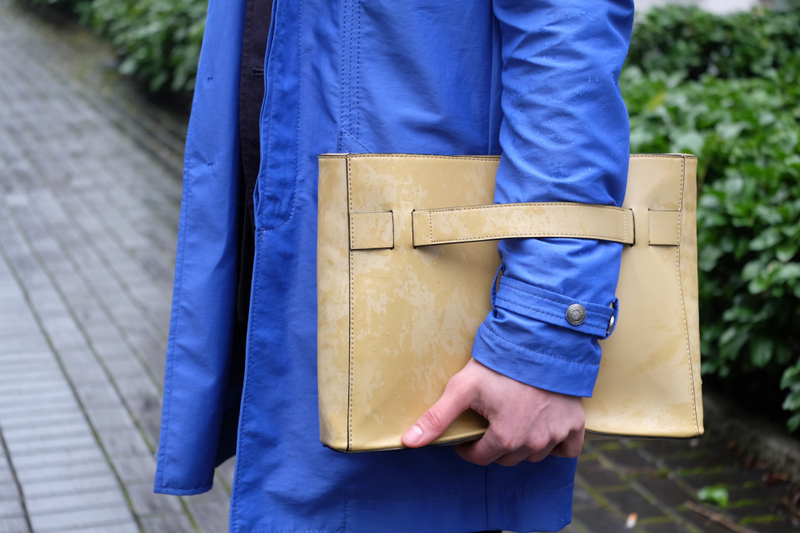 It is indeed a bold and attractive shade of blue and it does the job of making this rainy day outfit absolutely fabulous. The suit and this rain coat= pure perfection:) That goes to prove that rules are to broken...or adapted to better suit our needs. Love your clutch, the worn effect on it looks really great. The color is perfect as well. I love your suit!!!!! You look so stylish!!!!! You look stunning as always! I love your style! 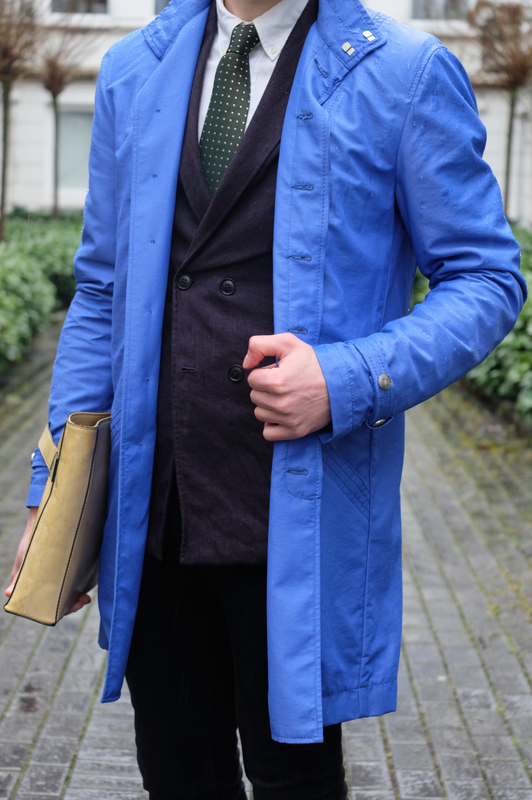 That coat is really awesome, love the color and style! Always on top and always stylish! This trench coat is so so gorgeous! I love the colour and and it's such a beautiful pop of colour! I mean, yes, it does scream spring afterall!! One word: PERFECTION!!! I'm swooning over your blue coat!! Great look!! Love the pop of blue! Hello Justin, I love this stylish look, the elegance of the suit and the pop of glam given by the Versace trench. Super!! 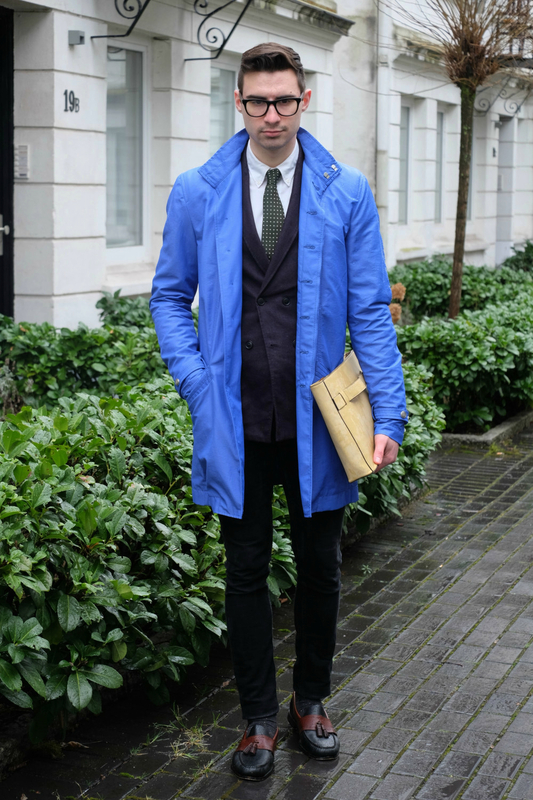 That bright blue coat is a statement piece. I love it!